Get 1GB with a NEW LT200 MiFi device + 100% BONUS on recharge + 1GB daily MidNite* BONUS when you recharge with 5GB or more! You can enjoy SuperFast 4G LTE internet in Arusha, Dar es Salaam, Dodoma, Kilimanjaro, Morogoro, Moshi, Mbeya and Mwanza. 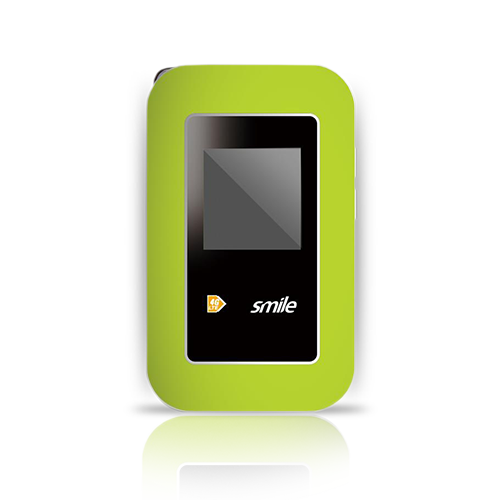 The Smile LT200 MiFi is a pocket size Wi-Fi-enabled device that conveniently connects multiple Wi-Fi-enabled devices, simultaneously to the internet. Ideal for individuals on-the-go who need to connect multiple devices and want to stay connected to the fastest 4G LTE network in Tanzania. *Daily MidNite BONUS data becomes available for 30 days once you recharge with 5GB or more.